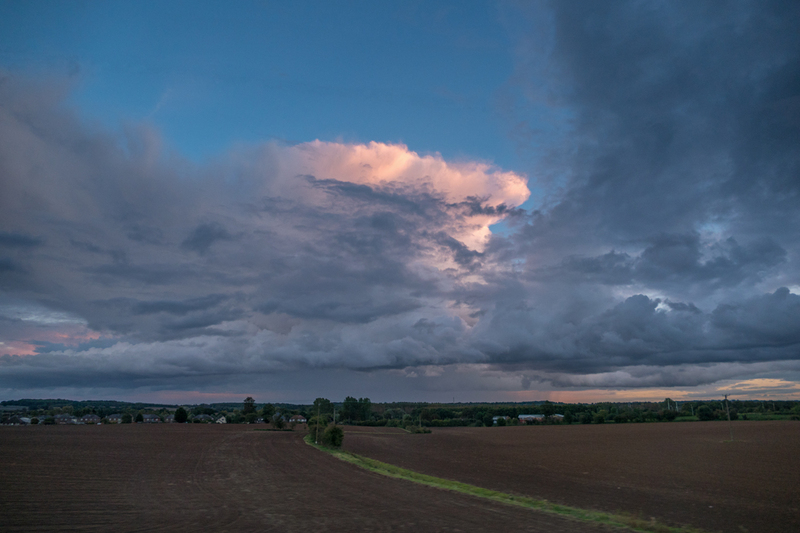 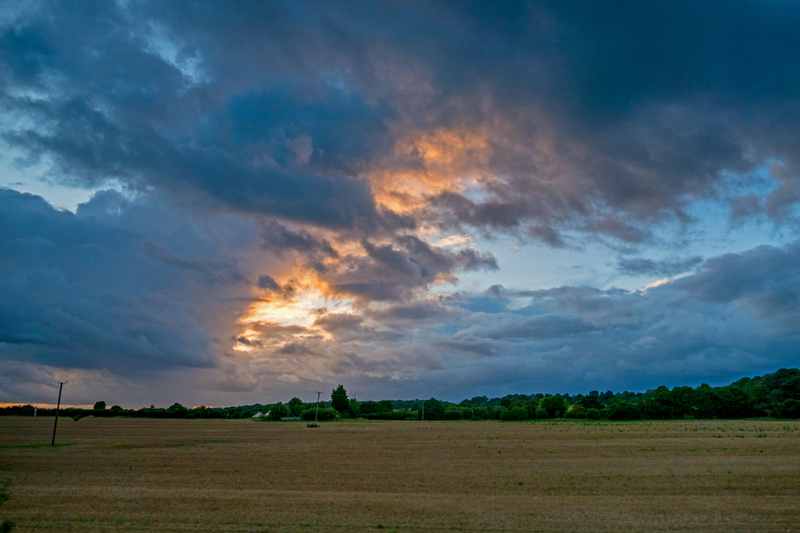 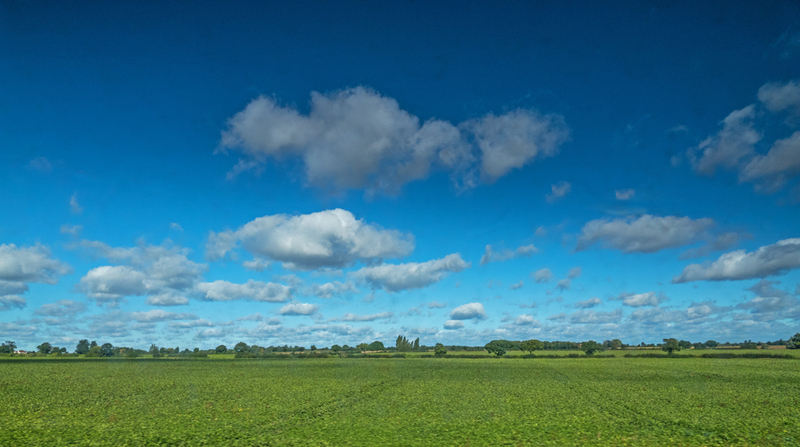 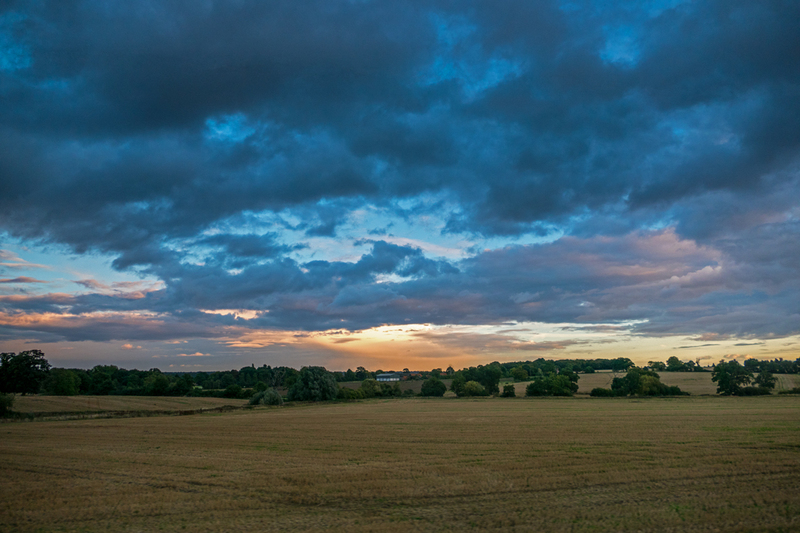 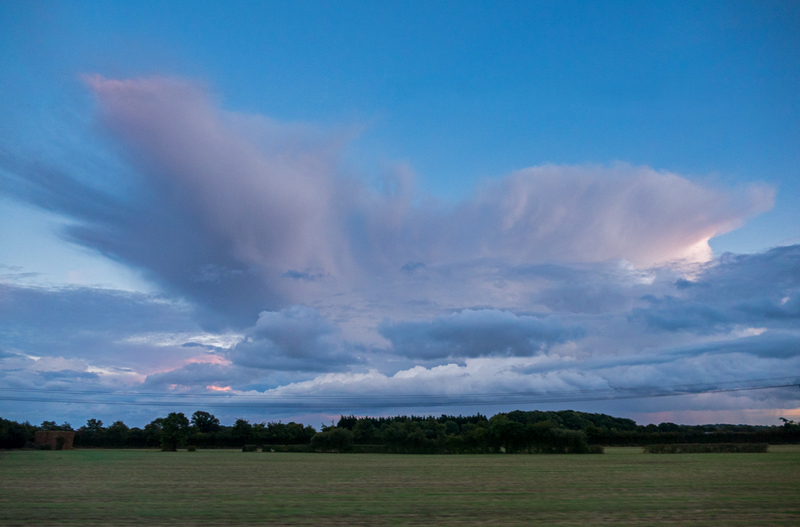 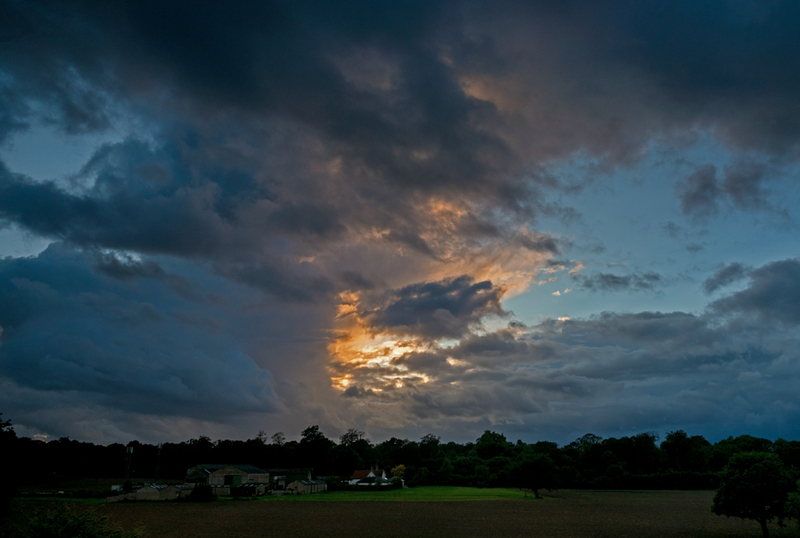 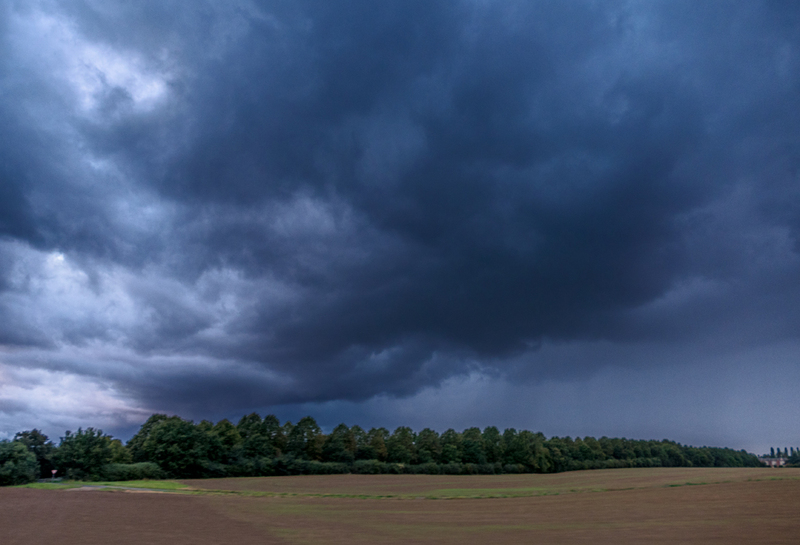 This view of such apparently settled and gentle weather just south of Witham was, however, hugely misleading. 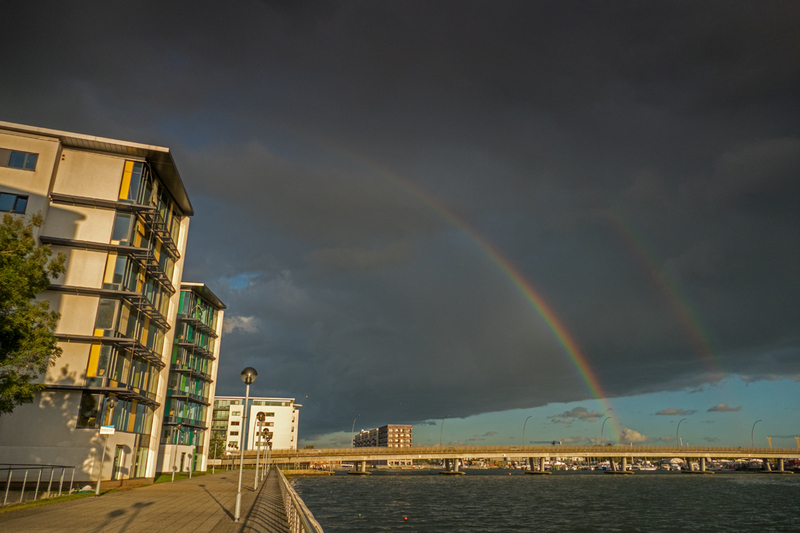 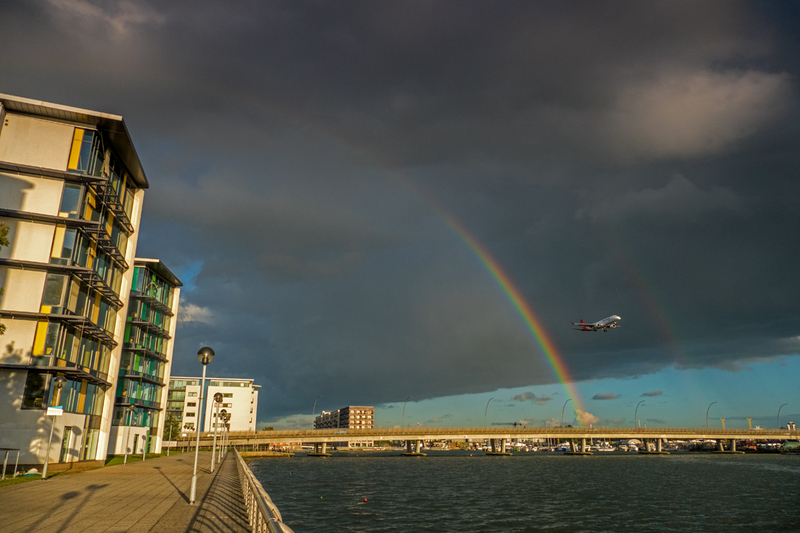 After arriving at our Docklands Campus I was welcomed with a mild drenching, then throughout the day it was as though someone was switching the shower full on, then abruptly switching it off again. 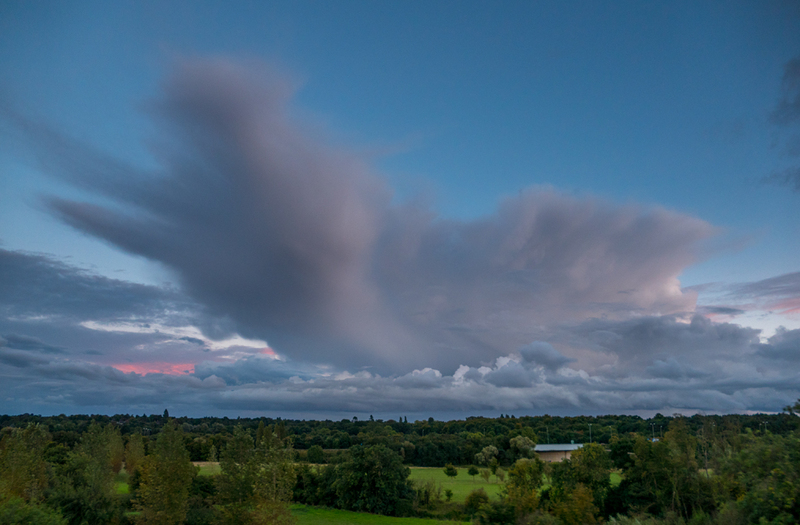 My colleague, Stuart Connop, described how his wife had been waiting on a station platform the other day and when a torrential downpour occurred, she had seen someone shuffle sideways by about 3 metres and remain totally dry while the rest of the platform had turned into a river – such is the localised nature of a cumulonimbus capillatus rainstorm. 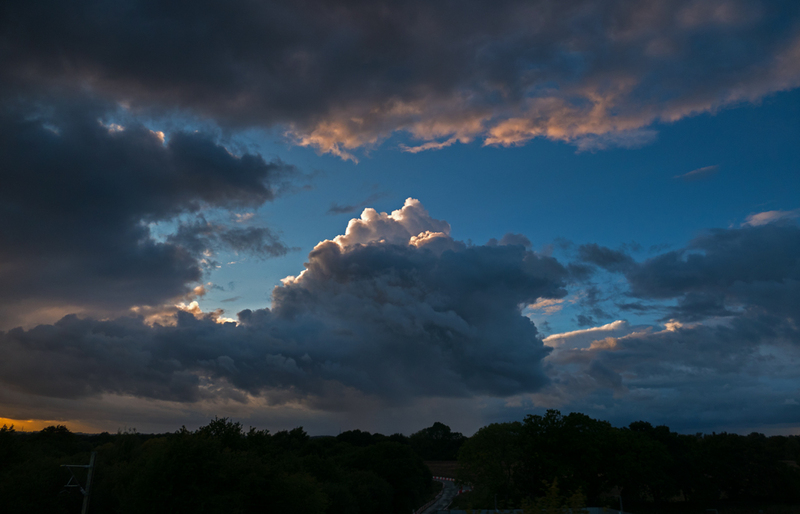 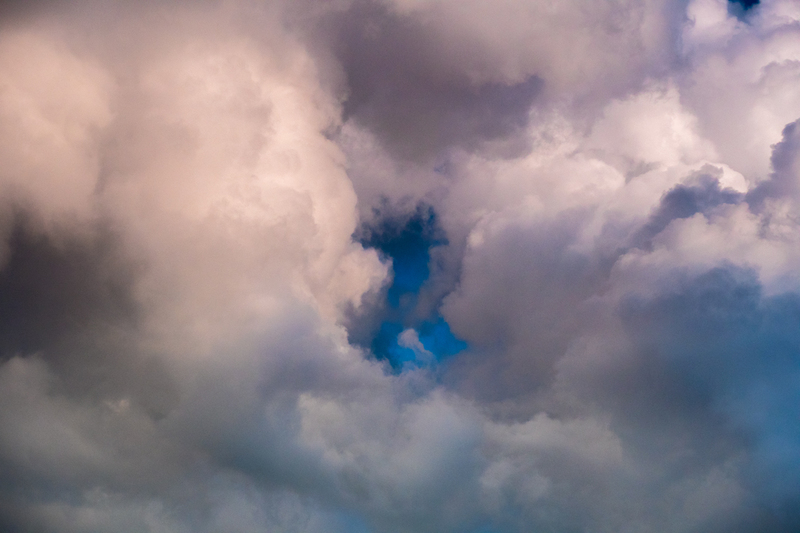 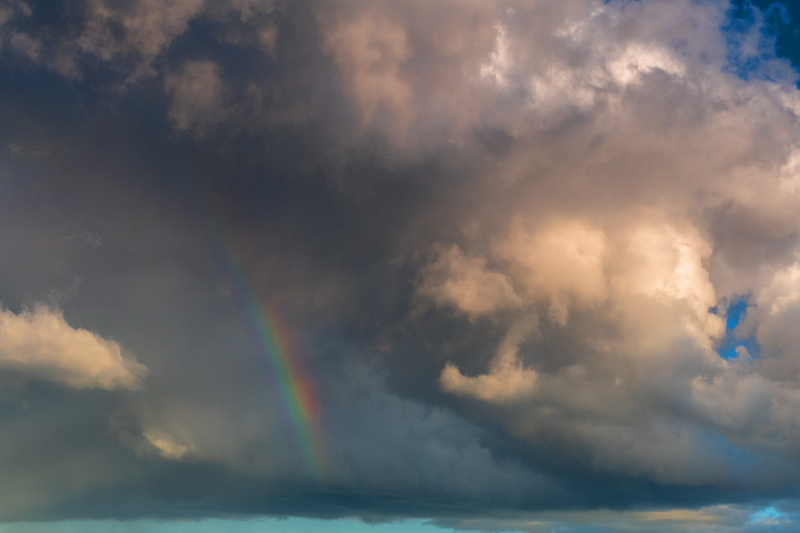 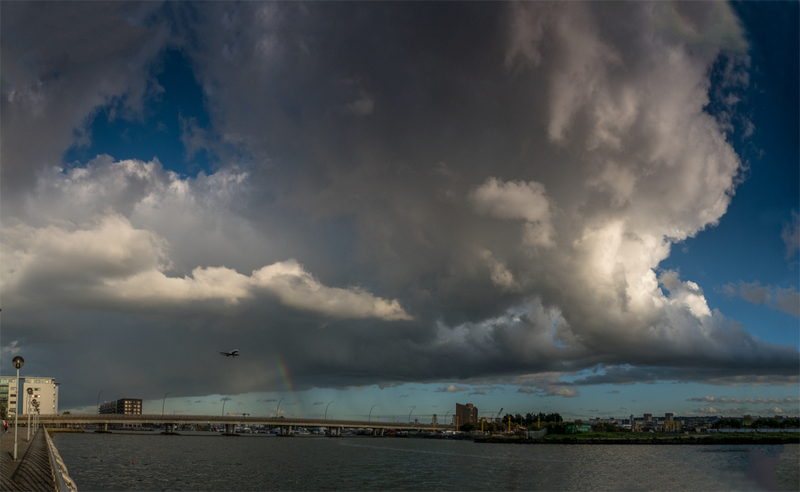 Clouds – never a dull moment.